Clean the fish and make cuts in its body. Marinate the fish with all the ingredients except coconut milk for one hour (crush the ingredients). In a flat-bottomed pan, add oil. Shallow fry the marinated fish. Add coconut milk gradually. 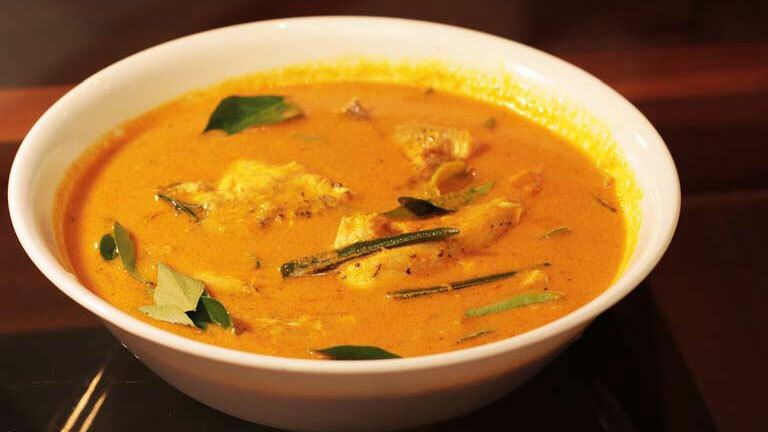 Cook the fish on both sides with this coconut milk on low flame. When the gravy thickens, remove from the flame.